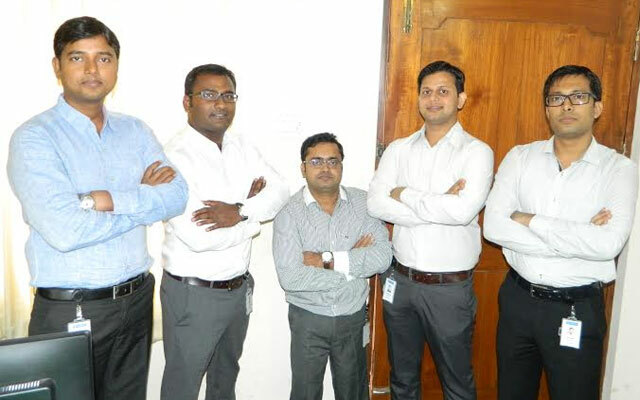 IIT Kharagpur-incubated fin-tech startup TradeLab Software Pvt Ltd, which recently launched its flagship product Pi in the market, aims to take four more products currently under development to the market soon and plans to go international to fuel the next stage of growth. Pi is a B2B product offering an online trading dashboard integrated with what it claims to be a superior charting platform. It allows users to place orders from the charts itself which makes for quicker trades. The startup had officially launched Pi in March after months of beta testing with thousands of users. It claims 10,000 users for the product which is being used to trade on both NSE and BSE as well as in the commodity market. The firm is targeting to grow this five-fold in six months. The revenue model is primarily built on number of user licences issued to its clients. In addition, it charges for software support to clients. "TradeLab will provide complete solutions to stock brokers from August 2015 as we will integrate Pi (front-end) with in-house Order Management Systems (OMS) platform, currently in alpha phase. At the same time, we want to expand our reach to international market," Rakesh Ranjan, CFO, TradeLab, told Techcircle.in. TradeLab is the brainchild of two IIT Kharagpur graduates Sandeep Kumar Mishra (chairman, who has previously worked at the software wing of Bank of America and Exact Solutions) and Biplab Sinha (CEO, worked with SP Algo). The two drew upon their experience in coding for a number of stock brokers in Kolkata and felt the need to create advanced software tools for the broker community. They then roped in four others—Rakesh Ranjan, Sanjeet Kumar, Satish Kumar and Dilip Kumar Singh and founded TradeLab in July 2012. Sanjeet Kumar (vice presidet for sales) has previously worked at Wipro and IBM after finishing his B Tech from Utkal University; Satish Kumar (vice president for products), a B Tech from Anna University, has worked in software development area including an on-site stint in the US with HCL; Dilip Kumar Singh (CTO), also an IIT Kharagpur grad, has worked at Tata Steel and ANSYS; Rakesh Ranjan (CFO) has worked at SIDBI Venture Capital and Aditya Birla Group and holds an MBA from ITM Mumbai and a B Tech from IICT Bhadohi. The startup was incubated at IIT Kharagpur and received seed funding of Rs 15 lakh in December 2012 as financial support. TradeLab secured Series A round of investment worth Rs 2.5 crore from Bangalore-based technology-focused VC firm Straddle Capital in September 2014. Straddle Capital is promoted by Nithin Kamath, who also runs online stock trading firm Zerodha (a client of TradeLab) and an incubation centre Rainmatter. The funds were used to expand the team, support in-house R&D work, develop trading software for financial market, marketing, client acquisitions and purchase hardware and software. It now has a 12-member team. The company is also developing an execution management systems (EMS) and an order management systems (OMS) which are expected to be released for retail clients by August. Another product is a configurable low-latency algo-trading platform Cyrus. Another algo-trading product ADDO is being used at six client sites. In addition, TradeLab provides services such as customised products, strategy coding, customisation of existing products and mobile app & web technology. It has 12 clients for consultancy services. The other products are in alpha and beta phase of development. "We require another round of investment by the end of this year. The new investment will help us in continuing our product development work," says Ranjan. It is still early days in terms of monetisation but the firm still notched Rs 40 lakh in revenues for the year ended March 31, 2015. It is now aiming to grow with over six times to touch Rs 2.5 crore in FY16.